Frank Ehrenberg was educated in Germany and has over 20 years of experience of working on high profile projects across the commercial, mixed use, residential and institutional sectors in Australia. Prior to joining Marchese Partners, Frank was the practice director of a leading Brisbane-based architectural studio. In this role, and over a period of 11 years, he has successfully managed large scale complex projects, often leading and collaborating with joint venture design teams. Frank talks to TheUrbanDeveloper.com about his background and how to incorporate ageing friendly design for the seniors market. I grew up in a very old town in Germany called Warendorf where you can find buildings from six different centuries. I spent a lot of my youth in a University town called Münster, and the architecture is similar and a lot of the building fabric was very old and traditional. When architects Bolles and Wilson came to Münster through their win in a library competition in 1985, I was fascinated by their proposition of inserting this seemingly weird object into a historical context. But the form of the Münster City Library has a unifying impact on its surrounds as it draws everything around it towards the library as if it was the missing piece of the puzzle or the centrepiece of a knot. To me, this is the key. Architecture is all about solving the missing links and drawing people in, having a positive impact on society. So that’s what I wanted to do. Architecture and I looked each other in the eye across the room and fell in love. The rest is history. While you’re now based in Brisbane, you’ve worked in both Sydney, and overseas. How does Brisbane and Queensland architecture differ from other locations you’ve worked? Brisbane’s subtropical climate offers architectural opportunities Sydney and European cities do not have. Our architectural vernacular is entirely different and, as such, Queensland architecture has its own identity. Our buildings are characterised by openness and a strong connection with outdoor spaces and it is very easy to blur the line between inside and outside spaces, whether that’s on a small project like a house or a major public building like the Queensland library. In Europe, you are either inside or outside a building and that space is clearly defined. There is thermal bridging to consider and the detailing is a lot more complex. Our lifestyle in Queensland allows us to live in our outdoor spaces like balconies, decks or roof terraces. We can and should make use of natural daylight and ventilation as much as possible in order to reduce energy. This, combined with a façade that protects from the weather, makes for a pretty interesting palette of tools from which to approach architectural design. Aged care facility in Lane Cove, Sydney. Tell me more about the 3-day masterclass you attended in Scotland at one of the world’s leading authorities on dementia and ageing, the University of Sterling. What did you learn and what principles are you applying to your work now? Twenty years earlier and before I began studying architecture I opted out of the compulsory army attendance in Germany and worked in the dementia ward of an aged care facility for 16 months. That was quite an eye-opening experience for me. I had no idea what dementia was and the facility I worked in was quite institutional, which is still symptomatic for a lot of aged care facilities worldwide. So we live this rich life full of joy, experiences, travel, deep relationships and then we happen to find out we have dementia and all that richness and joy that makes us who we are as people gets buried in an institution. The masterclass at Stirling University taught me what dementia is, it taught me about the stages of dementia and what we as architects, operators, family members can do for our loved ones with that cognitive disease to integrate them into daily life and our community. Without getting into any detail, the principles we apply to design for dementia and ageing are based around familiarity, health and wellbeing, legibility, distinctiveness, accessibility, comfort and safety. These are all person-centred principles. Our mission is to utilise the principles of Person Centred Living to create environments that enable all seniors to live with respect, dignity, independence and individuality and to truly enjoy the spirit of life they have been used to. The changing social dynamics of our ageing population demand an innovative approach to creating seniors living environments that are a joy to live and work in. Tell me about how you have applied these principles to projects in Brisbane? Marchese Partners apply these principles to all seniors’ living and aged care projects we work on. Quite simply, creating seniors’ environments cannot be guesswork. From the very beginning, to achieve the architectural, operational, social and financial goals for your project you need an inspired vision based on guidelines that are framed by rigorous scientific research. As part of the Esprit de Vie philosophy, we consider this a blend of art and science. The art is in conceptualising, planning and creating a design that’s beautifully inspirational and a joy to live in. The science is the application of proven research and findings from the Stirling University that transform the principles of Person Centred Living into a fully functional experience. Our recently completed Aveo Clayfield project embraces these principles as well as our Springfield project and others that are currently on the drawing board. Tell me more about ageing friendly design and why it is important it’s taken into consideration on many projects. Worldwide, the seniors market is growing rapidly. 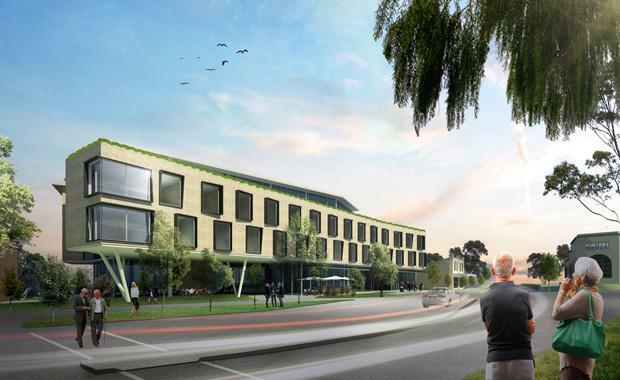 The world’s ageing population and specifically the transition of the baby boomers generation into retirement is redefining the senior living landscape with increasing demands across the full spectrum of aged care services and facilities. These boomers include a vast number of discerning individuals, unwilling to accept the past norms accepted by previous generations and are well prepared to mandate a new outlook on their own retirement. Esprit de Vie is at the forefront of this shifting trend. Increasingly well versed in technology, accustomed to a relaxed, wellness oriented lifestyle and family and community-centric relationships, these individuals embrace the innovations and choices Esprit de Vie has to offer. Are there any pieces of architecture that inspire you and your daily work? On an international stage I am a self-proclaimed Bjarke Ingles fan. Bjarke Ingles defines architecture as "the art of translating all the immaterial structures of society – social, cultural, economic and political – into physical structures." Architecture should "arise from the world", benefiting from the growing concern for our future triggered by discussion of climate change. "Buildings should respond to the local environment and climate in a sort of conversation to make it habitable for human life" drawing, in particular, on the resources of the local climate which could provide "a way of massively enriching the vocabulary of architecture. "On a national level I love ARM’s work and have had the pleasure of collaborating with them on many projects in a prior role. So this brings us back to the key where architecture solves the missing links of society and draws people in. That’s what I knew I wanted to do back in 1985 and I still love doing it now. 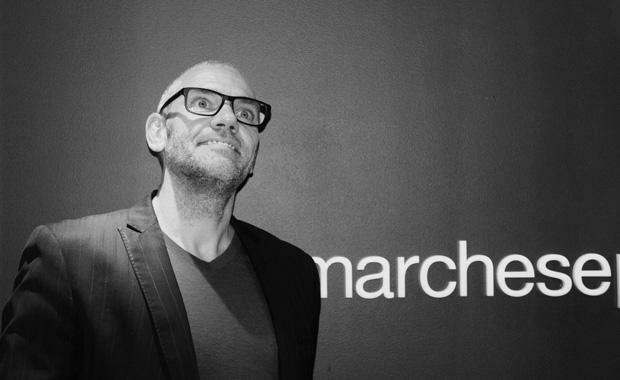 What exciting projects does Marchese have on at the moment and in the pipeline for future work? 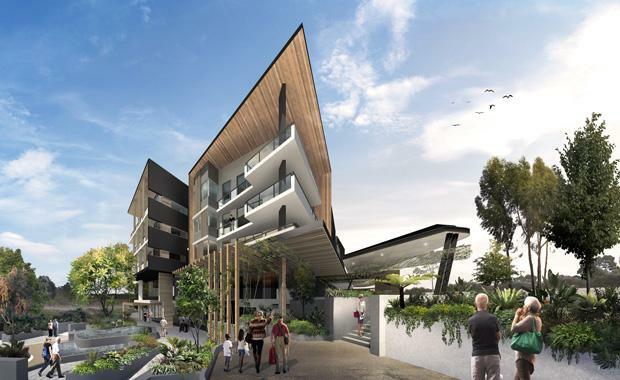 The Brisbane office is currently completing construction documentation for two large multi res towers in Sydney and a third tower is still in the Development Approval phase. 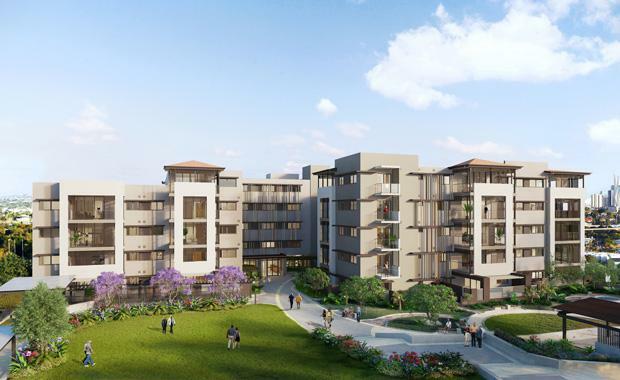 We have got two large Development Applications for seniors projects on the drawing board within Brisbane and a third one in Banora Point in New South Wales. We have also been working on two large retail projects just outside Brisbane.